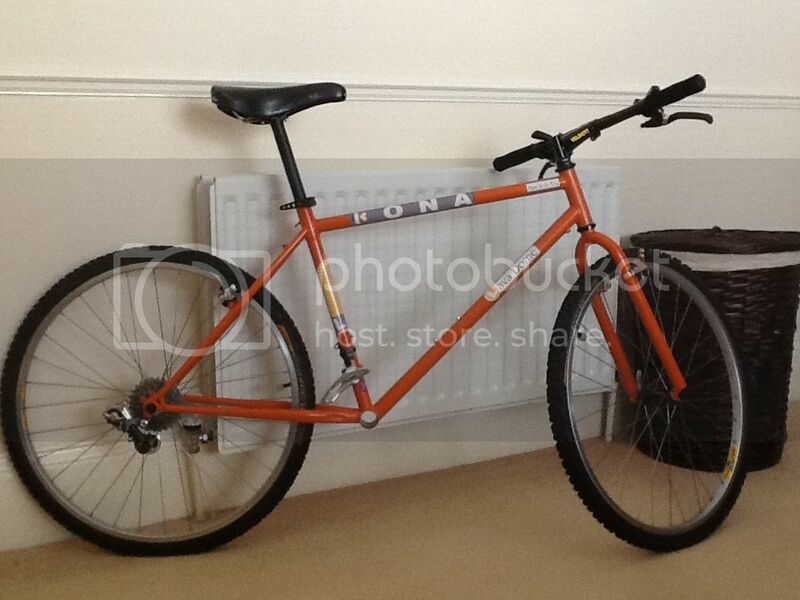 Hi, thought I would post this - always loved old kona s, and have 3 projects on the go now, splatter cinder cone to do after this one, however the one that takes precedence now is the one below, bought off the bay a while ago for next to nothing, in white flavour, the production catalogue of 1990 showed a orange lava dome which I always wanted, so have attempted to re create this one, x1 stuff which was on the bike when I got it was awful !! So have upgraded slightly, always liked suntour stuff as well, although not the x1 when I saw it !! Last edited by Konafan78 on Sun Aug 11, 2013 3:11 pm, edited 1 time in total. Good work. I'm l'm thinking about changing the livery with exactly the same beast. Where did you get the decals done? Thanks will be posting more soon. 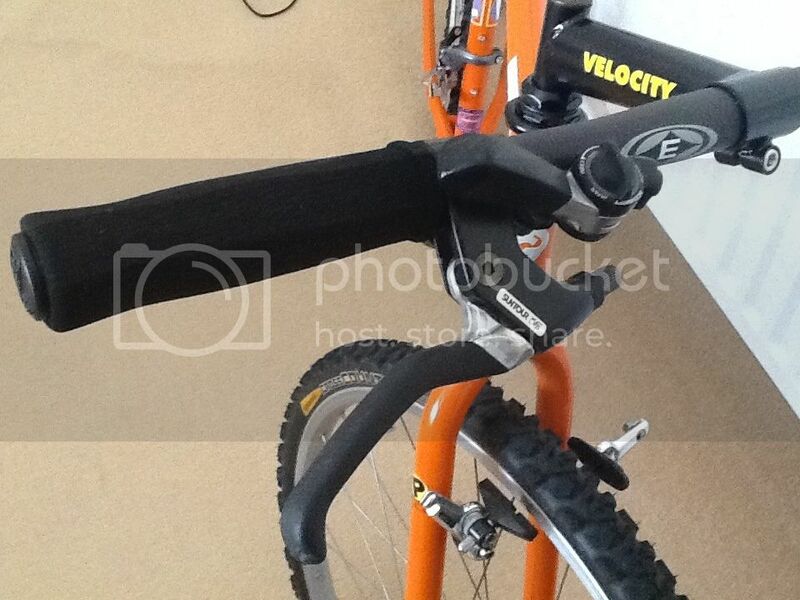 I know what you mean about the Suntour X-1, its not an impressive groupset. It has a whiff of acera x about it, I dont think I'll be using it in the rebuild. I bet when i had seen x1 back in the day I would have loved it, and probably did, however when I received the lava dome, it was pretty battered, and I wasn't scouring RB and eBay and paying money for a grouppo I didn't like, but if your after a catalogue replica then that's ok. The transmission didnt seem too bad, but the brakes ha ha I don't think they could have stopped me !!!! Yep the brakes are god dam awful, the cantis I pulled off this had 5mm of movment at the end, the levers were just as bad. mind you Its all Dia compe badged as Suntour. I just call it, well.... Dia, as it is! 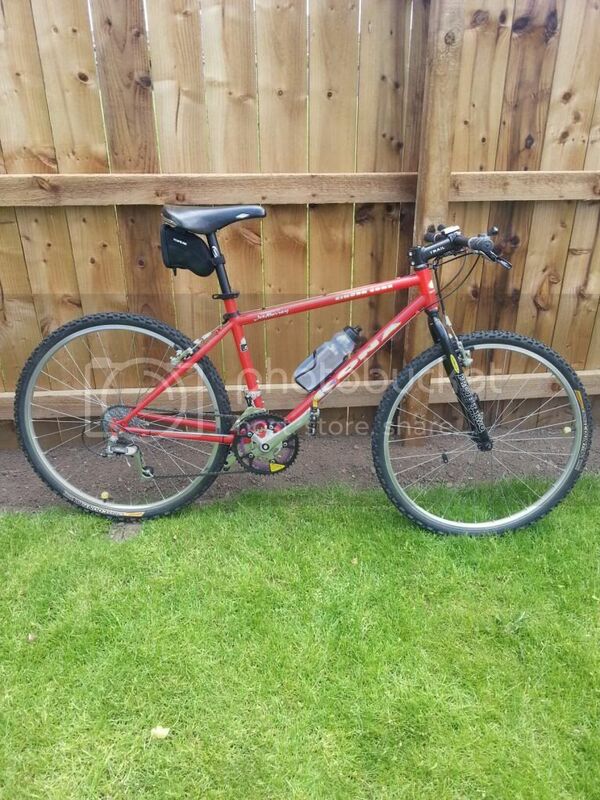 Did you by any chance find the X-1 crankset, and or bottom bracket heavy? 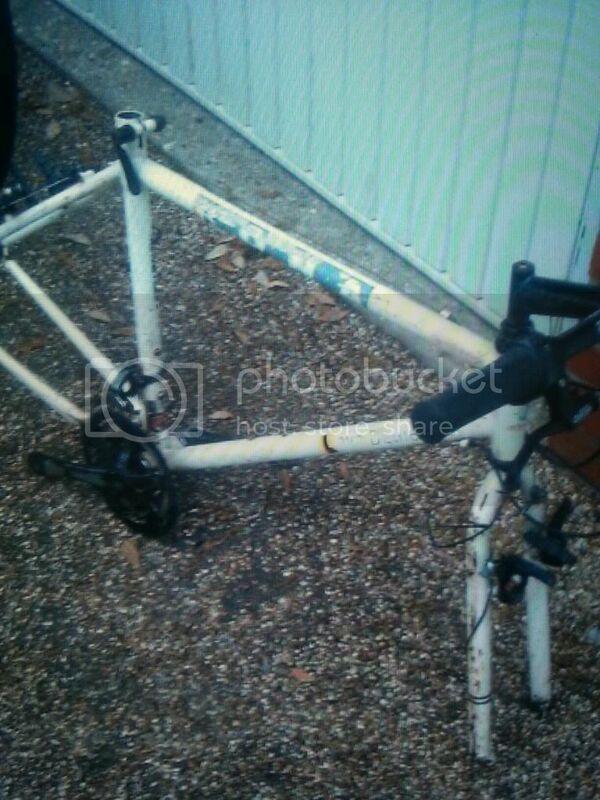 I havent found my crank puller yet but the frame with just the crankset attached seems a tad heavy? Out of the two Konas I collected Saturday the 90 Lavadome Is Substantially heavier than the 93 Lava dome. The two frames are quite different to look at. The 90 (TGB ) seems to be double skinned near the top of the seat post tube as its wider for about 3 inches from the top down. 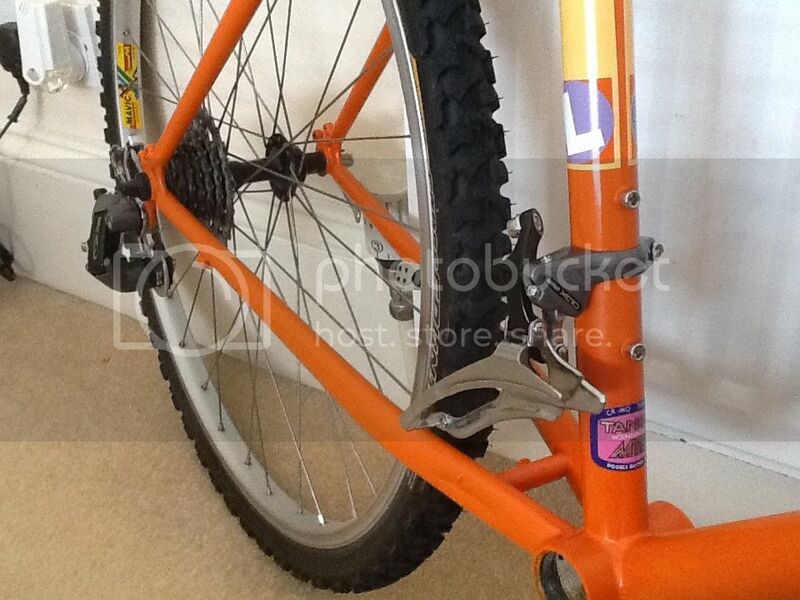 It is also lugged at the top instead of a separate seat clamp. 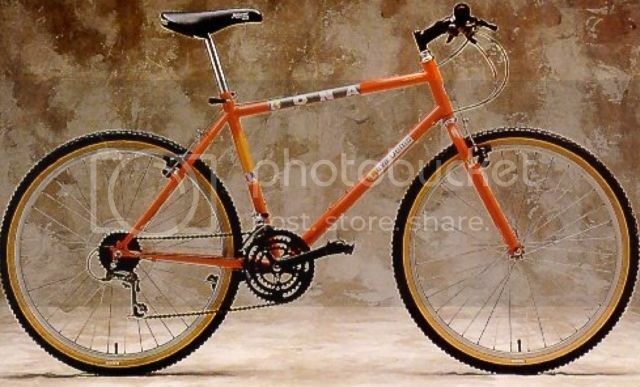 Technology must have changed loads around this time and lighter frame sets produced.